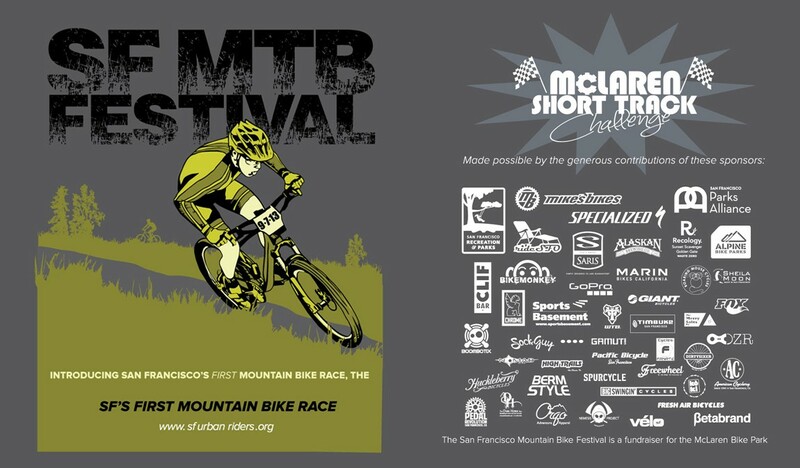 The McLaren Short Track Challenge was the featured event at the inaugural San Francisco Mountain Bike Festival. 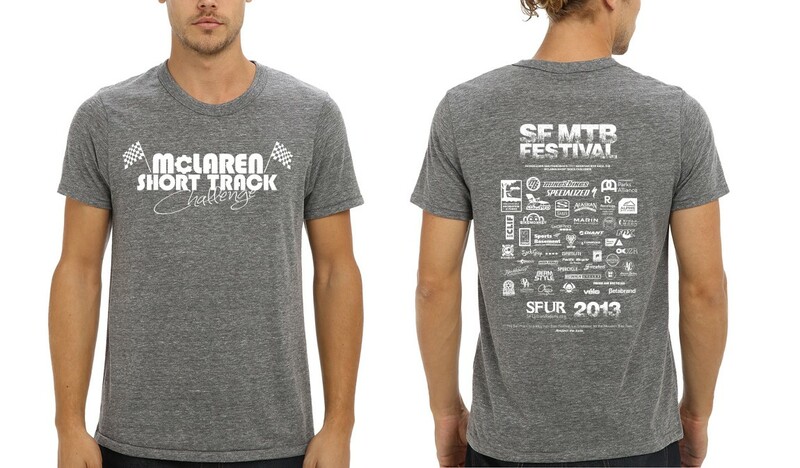 The one day event was established in 2013 as a fundraiser for the McLaren Bike Park, put on by the SF Urban Riders. 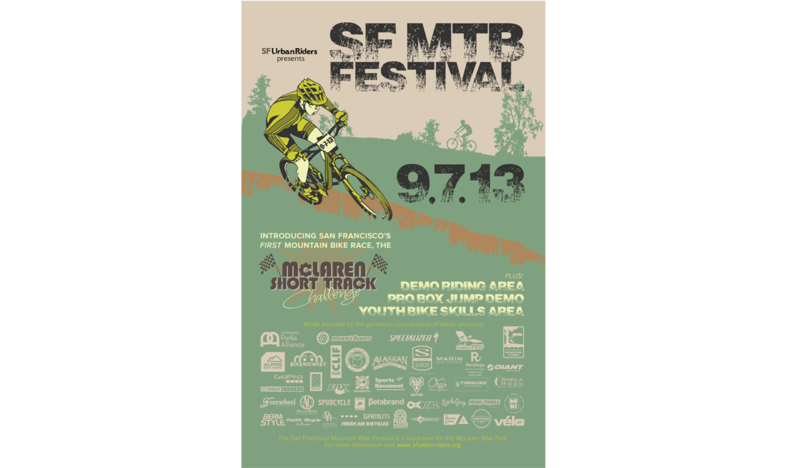 As a founding member of the group and board member on the Bike Park Committee, I created all marketing assets including event branding, and the creation of all marketing collateral, and managed the promotional efforts of the inaugural event. 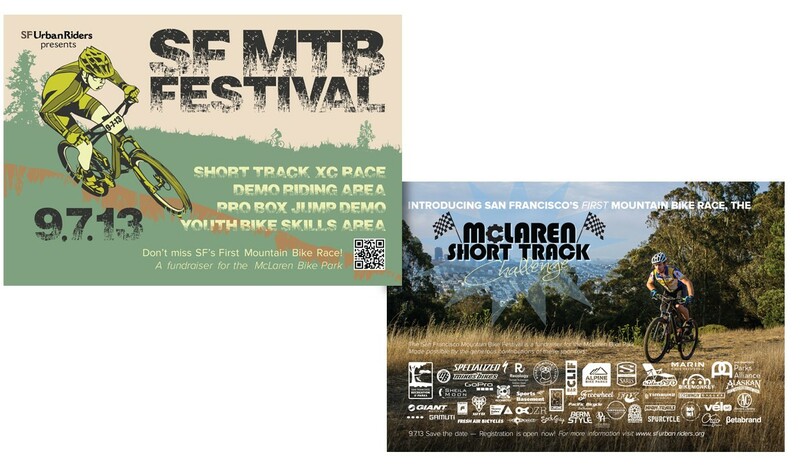 In addition to creating marketing assets, which included posters and post card leave behinds, and graphics for our social channels, I helped lead weekly group rides prior to the event to help raise awareness of the park and the course.